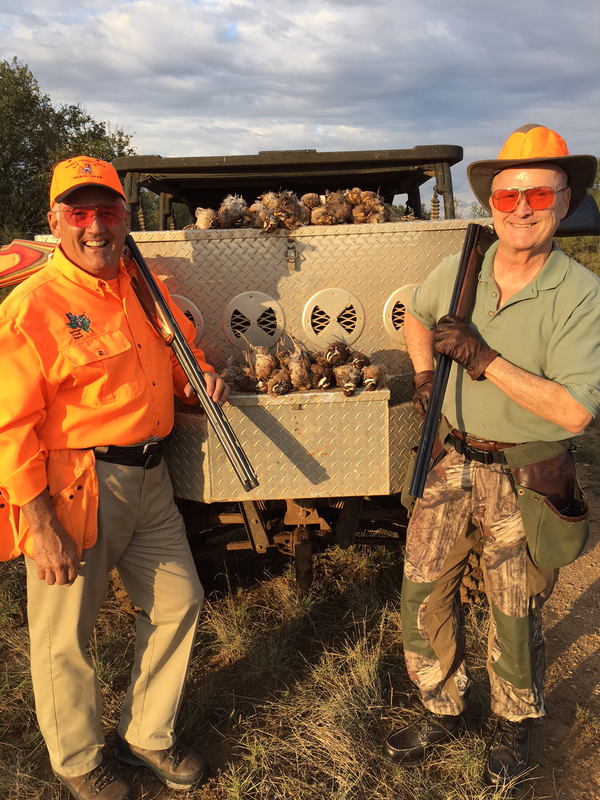 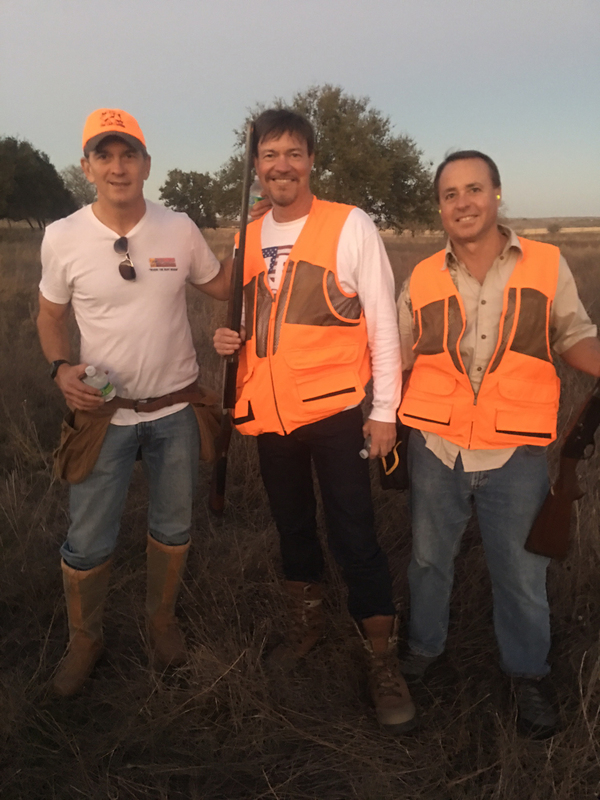 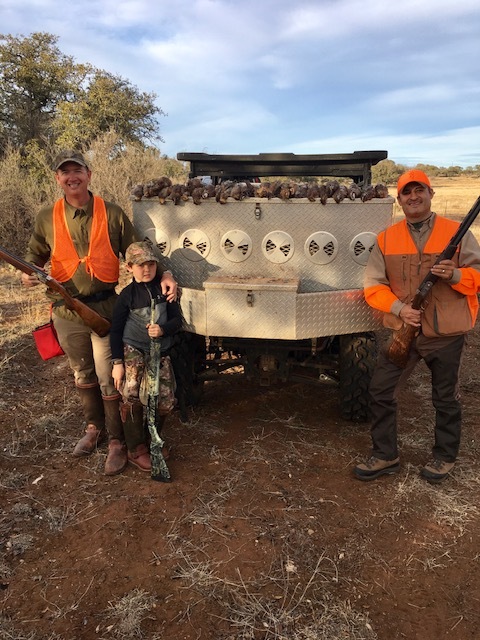 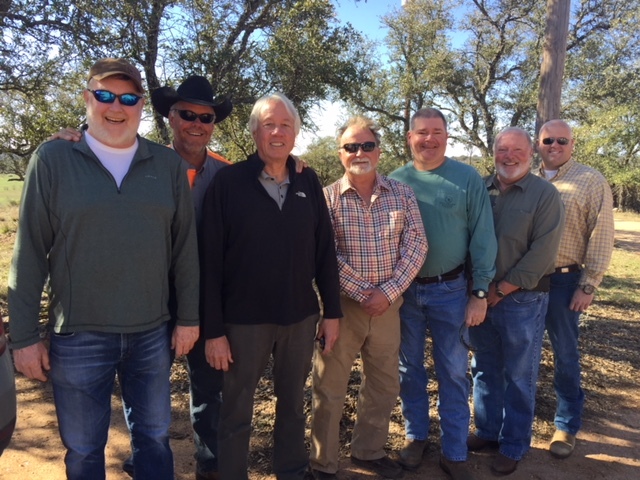 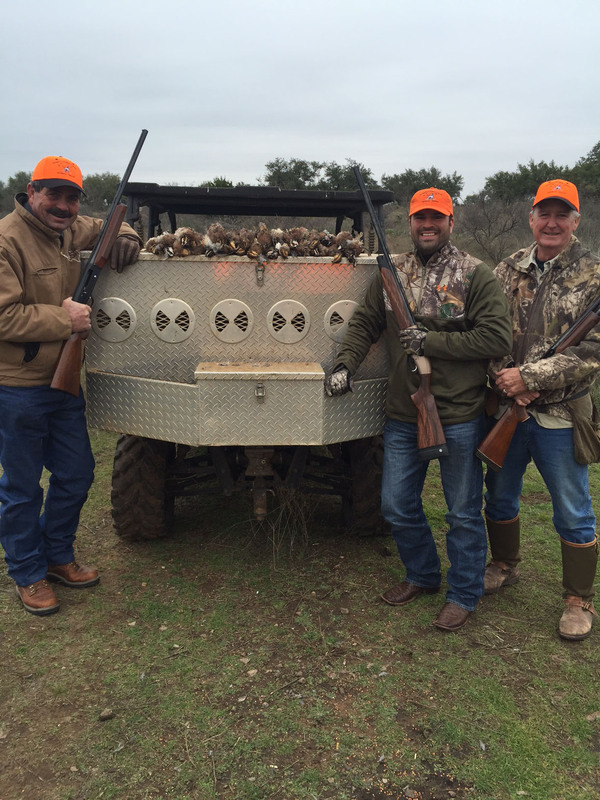 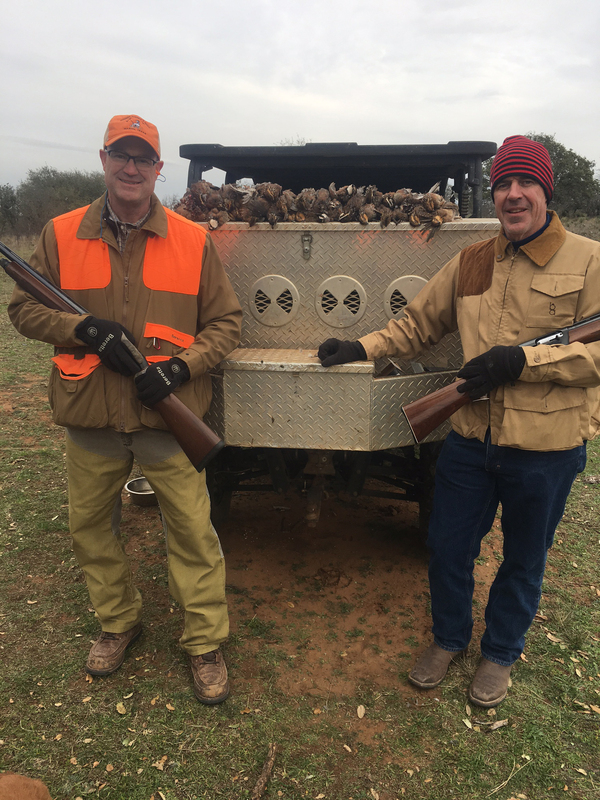 For booking or more information please contact Jeff Schmidt by calling (325) 347-2612 or emailing jeff@schmidttexashunting.com to create your quail hunt at Schmidt Double T.
Schmidt Double T Quail Hunts are a perfect opportunity to entertain while letting us do the work. 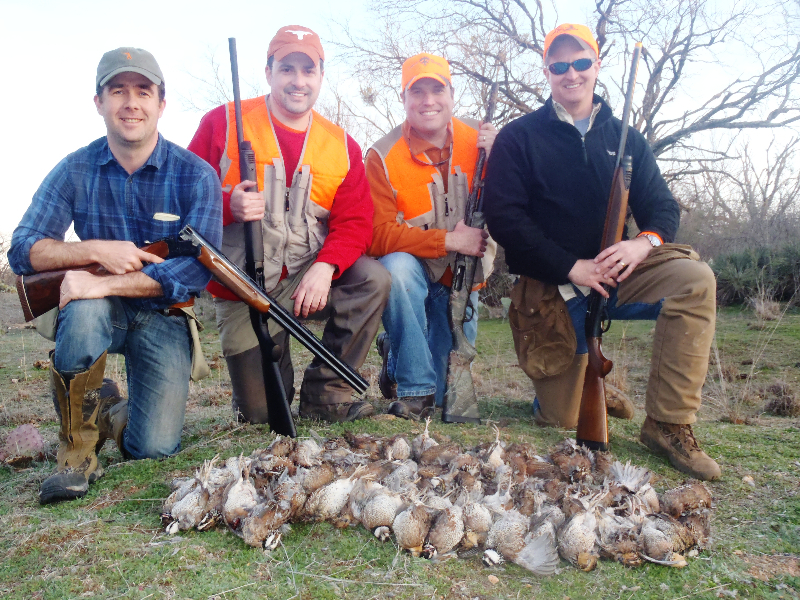 Be it a company outing, a family getaway or your solo retreat, quail hunting at Schmidt Double T is as thrilling as it is challenging. 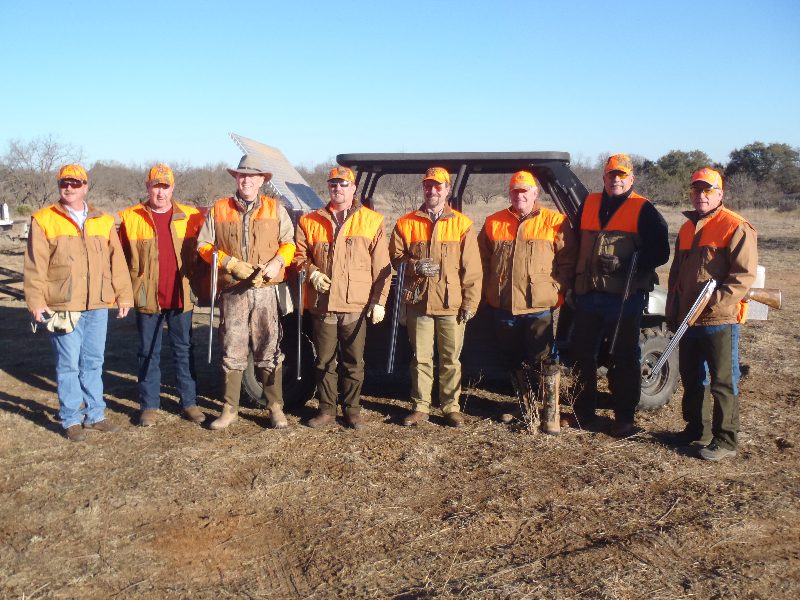 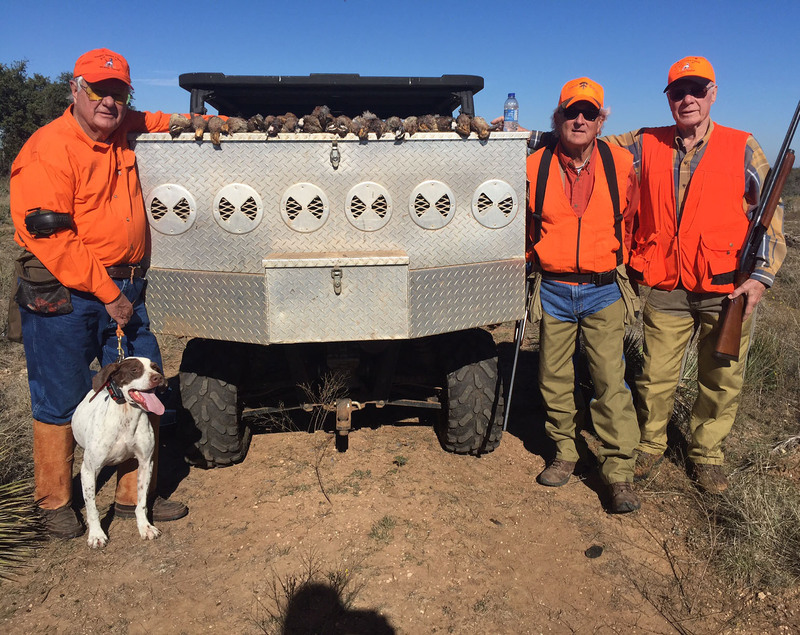 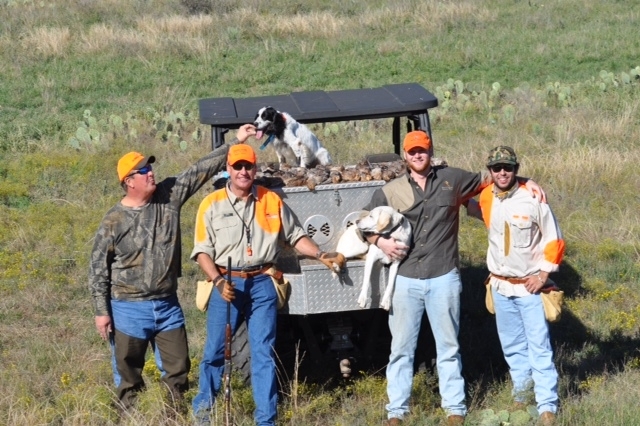 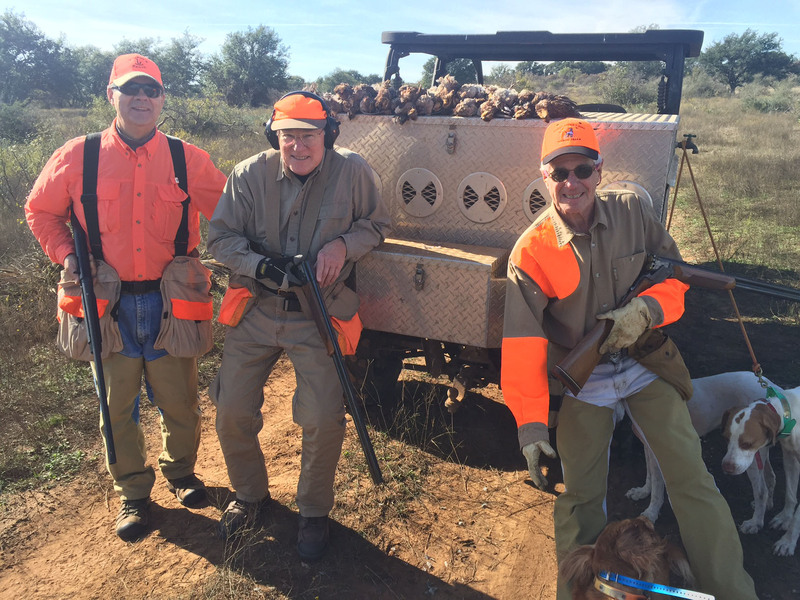 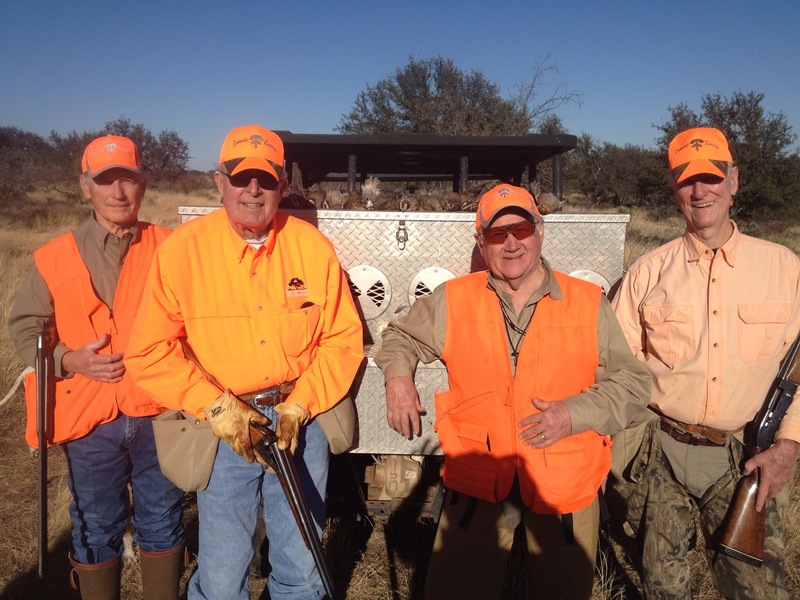 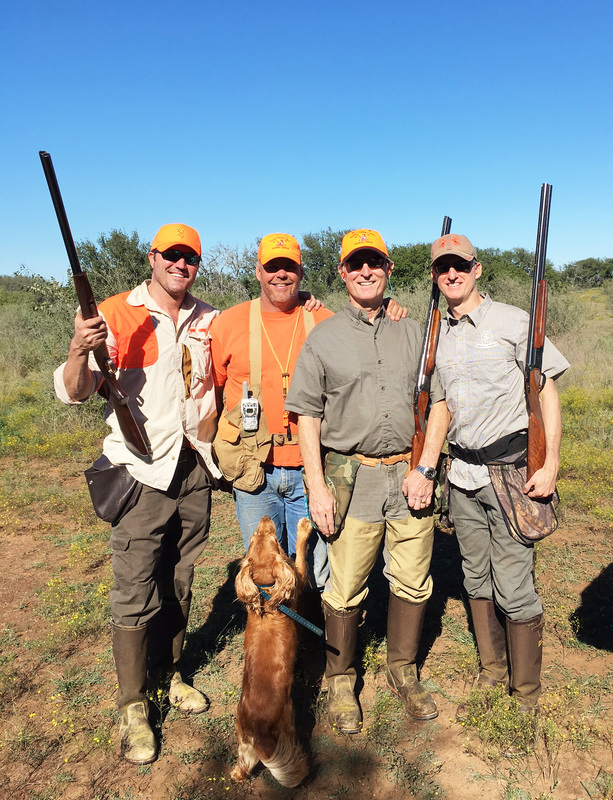 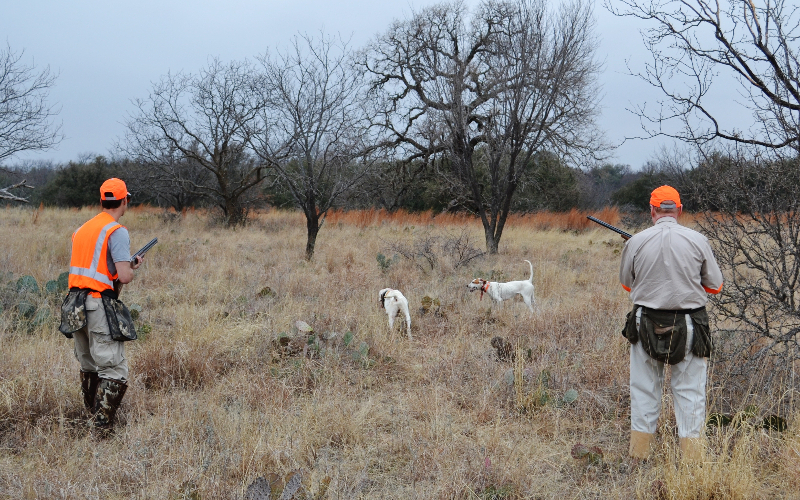 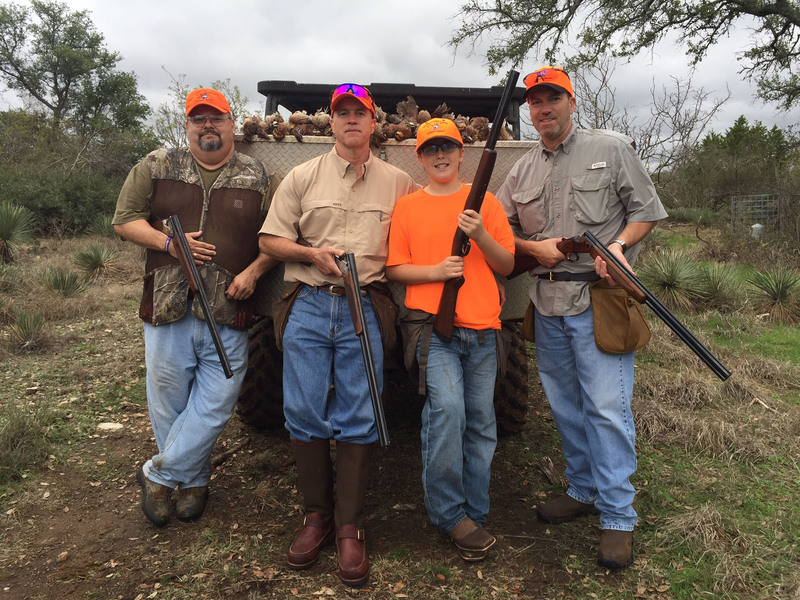 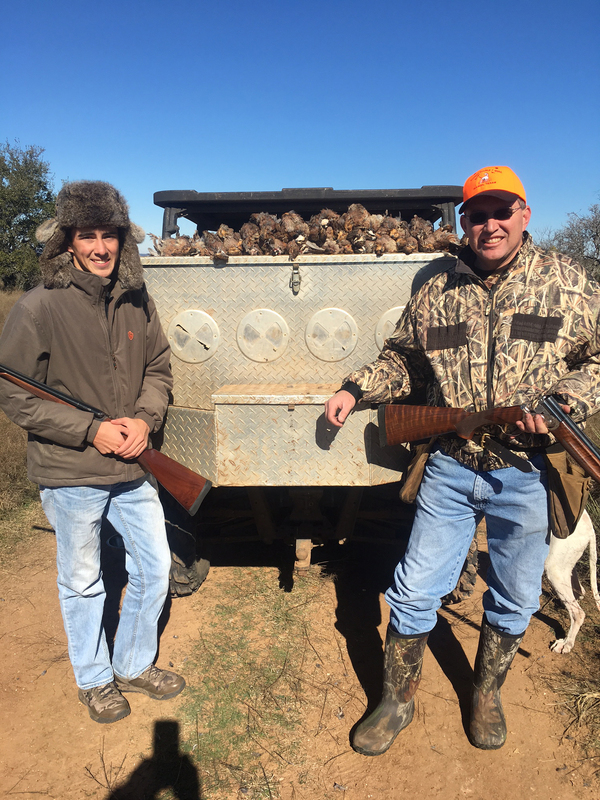 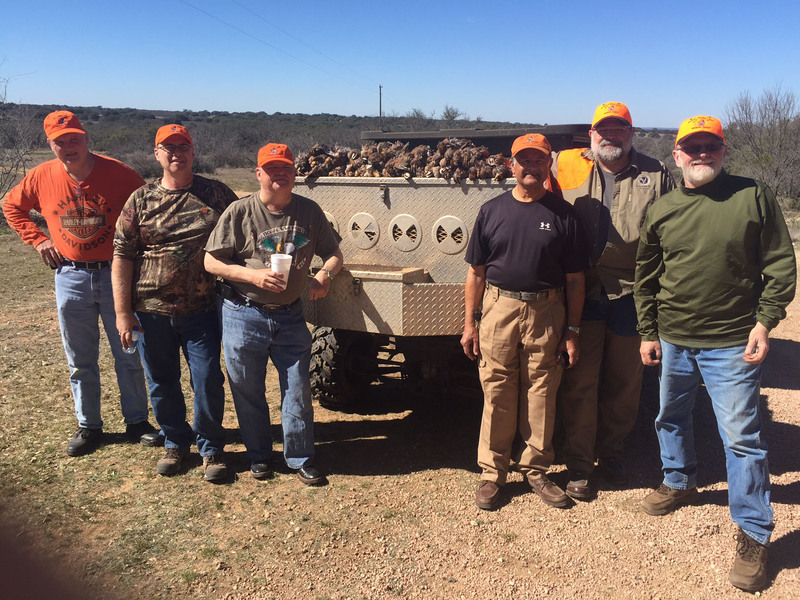 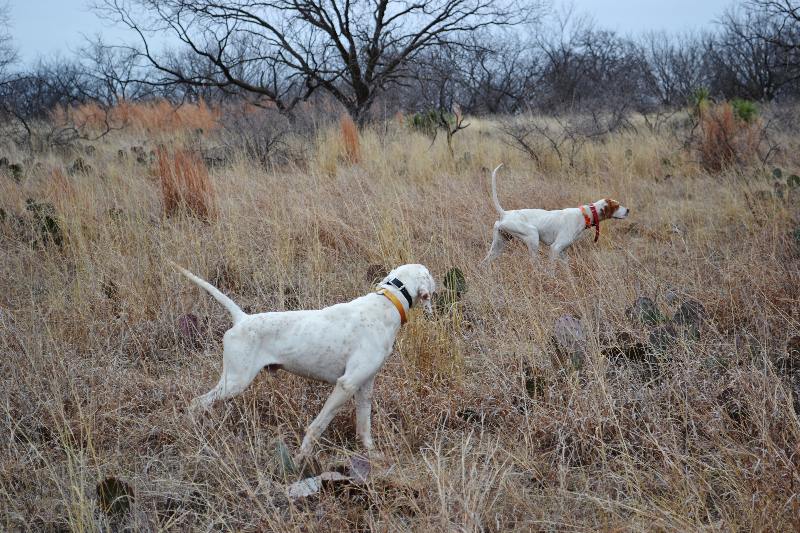 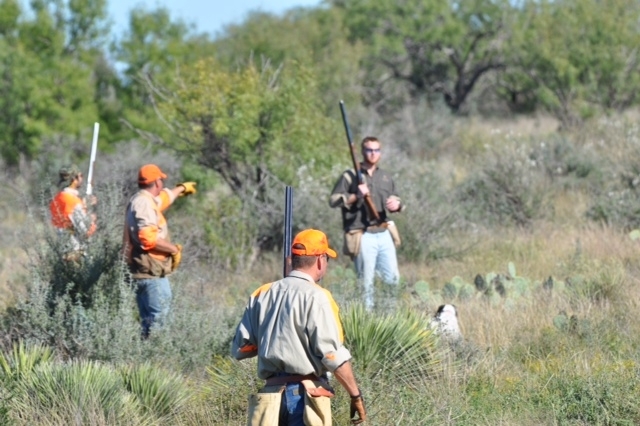 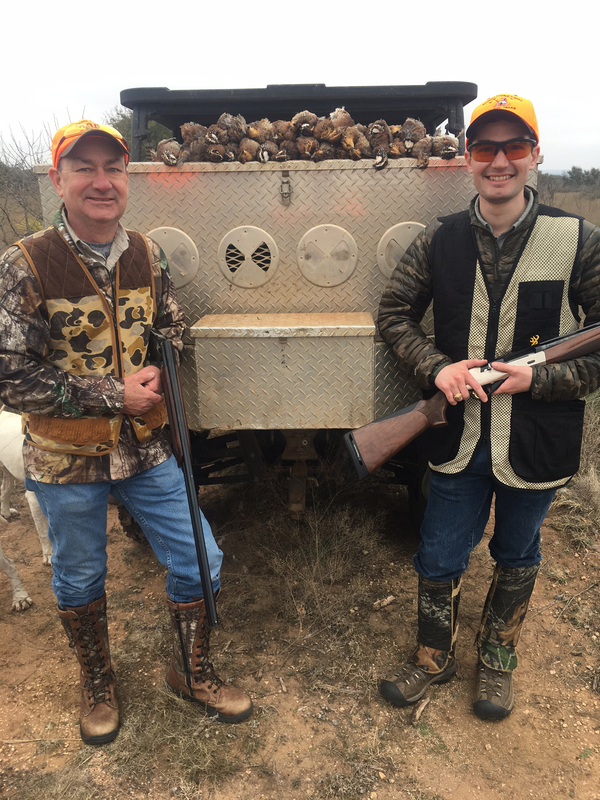 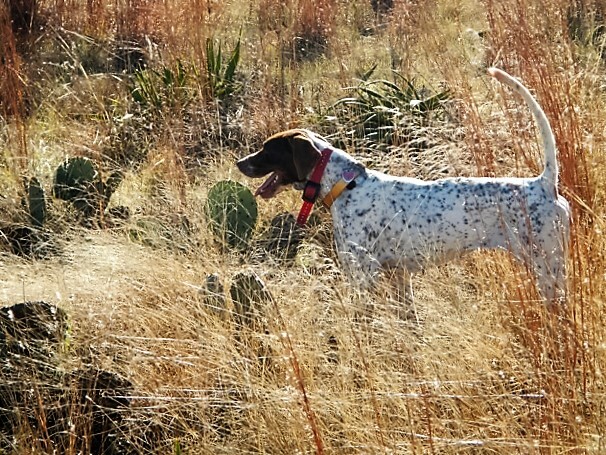 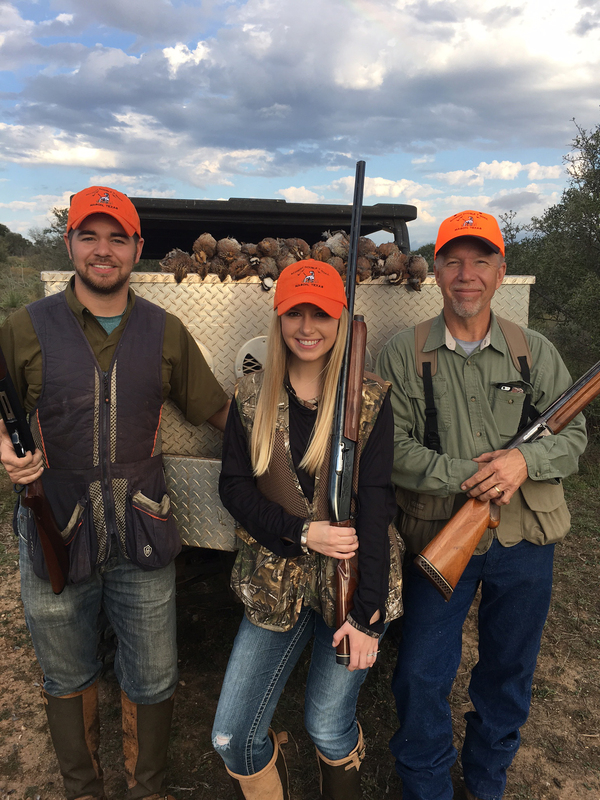 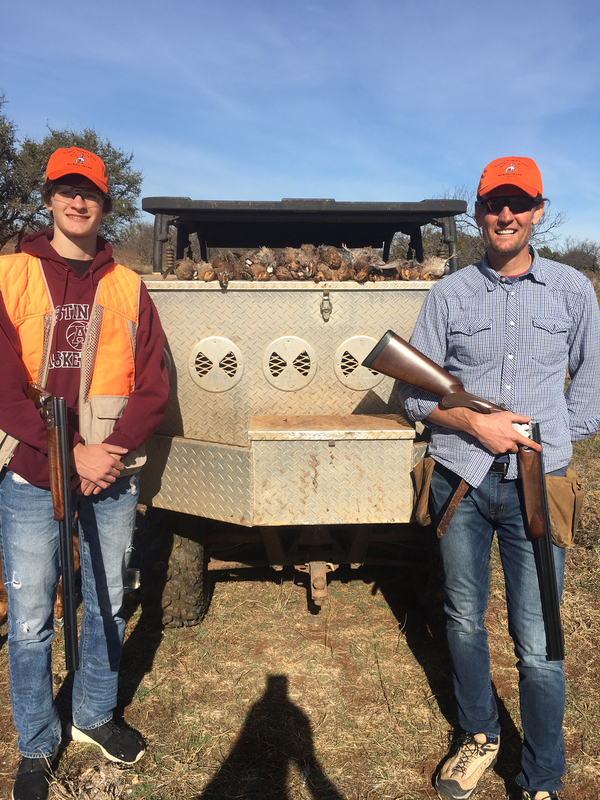 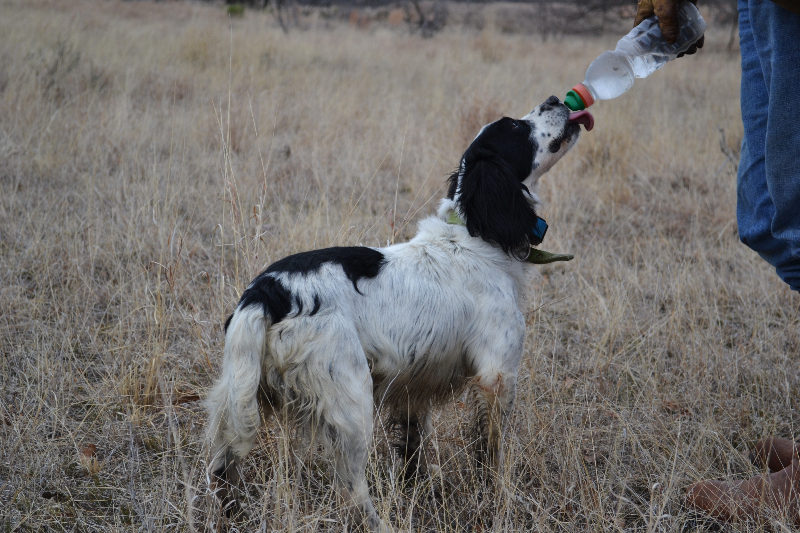 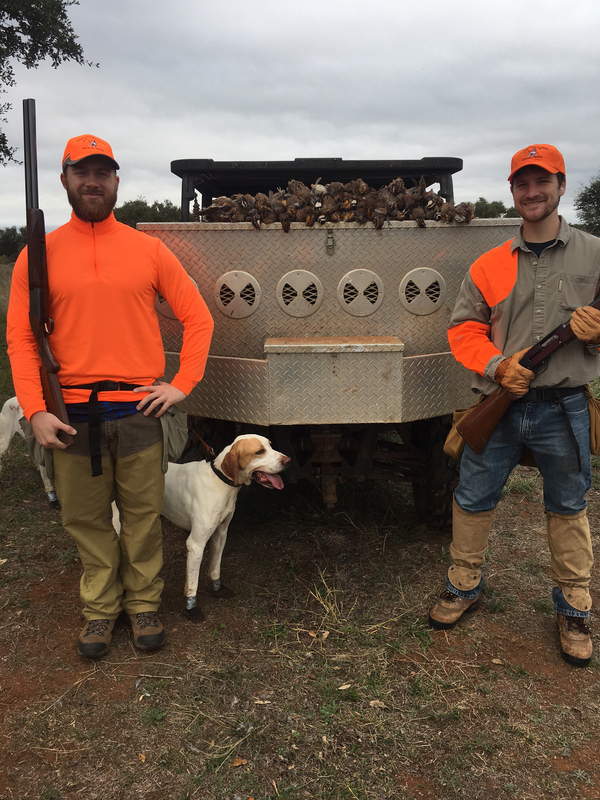 Our friendly, professional guides and well-trained pointing and flush dogs will assist you on some of the best quail hunting in Texas! 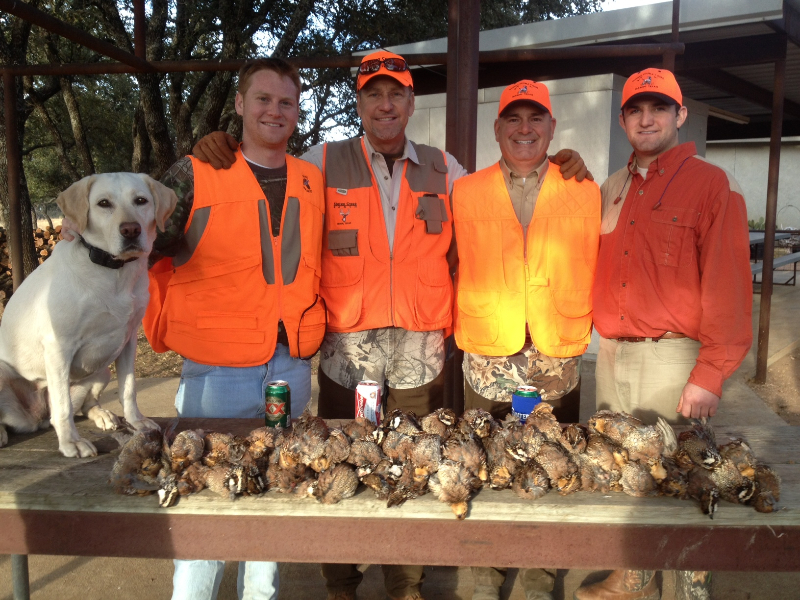 Quail are found in great numbers at the Schmidt Double T due to the outstanding environment. 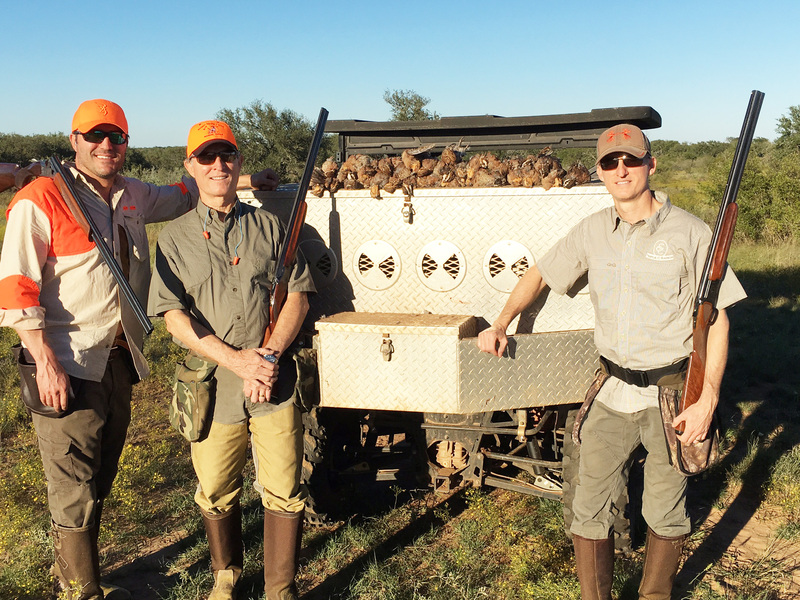 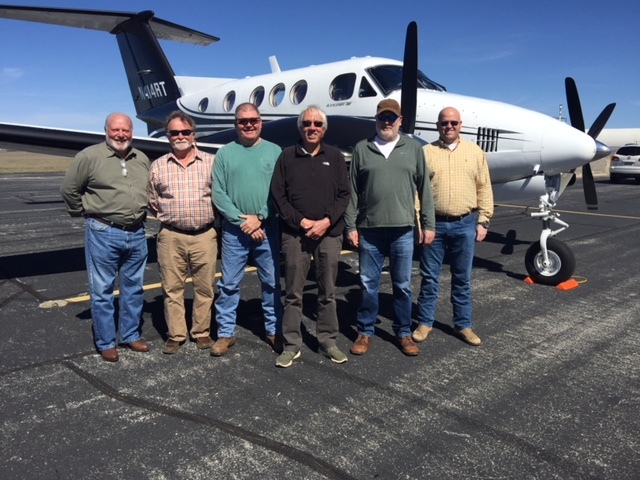 Our pre-release bird program starts in September and is supplemented throughout the hunting season assuring hunters an abundance of healthy, fast-flying covies. 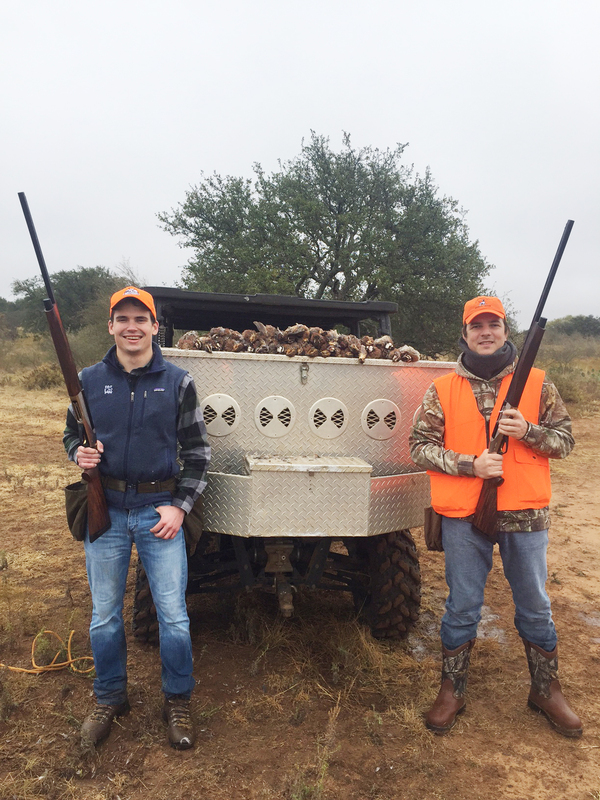 Schmidt Double T Ranch is designed to develop and manage prime cover with food plots and water stations for attracting and maintaining gamebirds.